We love weddings – this is the area where we specialise and can really go to town. Let us help you tick ‘wedding flowers’ off your wedding planning To Do list and create your floral displays to be as individual and as special as you are. 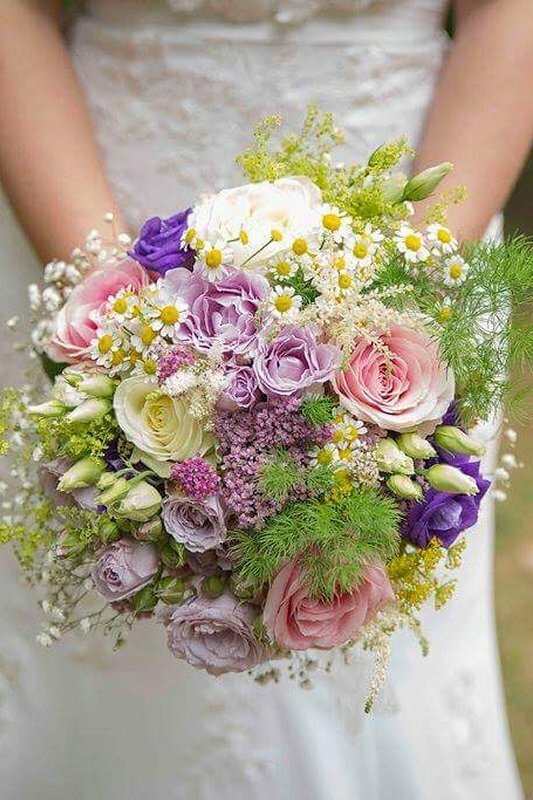 Enchanted Floristry can provide you with all the traditional floral requirements for a wedding such as: beautiful bespoke bouquets, buttonholes, bridesmaid flowers, cake toppers, ceremony and venue décor, plus table centres. We’ll incorporate the best flowers to suit the season, colour scheme, type of display, theme, and level of impact. Most importantly we’ll make sure they look (and smell) amazing. For something a little more alternative, how about a stunning floral backdrop, flower wall, or dramatic stair garland? You may also want to consider ways to wear flowers including floral crowns, corsages, floral rings, anklets and chockers. Plus, we love the trend at the moment for ceremony wreaths of various sizes – from a handheld hoop (as a bouquet substitute), impressive hanging ceiling wreaths, all the way up to our 2.4m tall moongate as a wonderful ceremony backdrop. Each wedding is unique and so our flowers are personalised and perfect for every couple, in every detail. There are no limits to what we can create for you. We are happy to work completely to your designs, although we hope that you will take advantage of our creativity and experience to create truly stunning floral displays for your special day. We work exclusively on one wedding per day so we can ensure your flowers are the best they can be. Please contact us for availability of your wedding day.